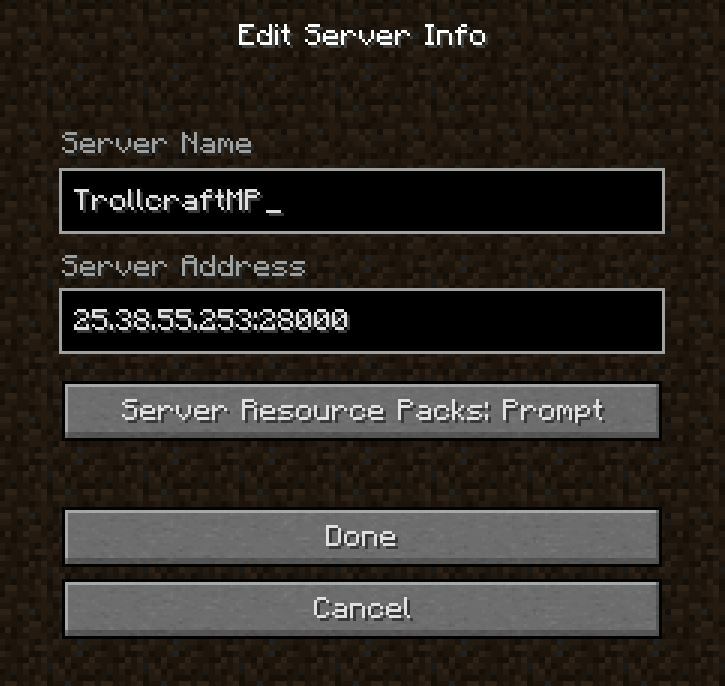 This is a complicated Tutorial on how to join my Trollcraft Server. 1.First you need to download Hamachi. Here's the link. Clink on the big green download button and install the program. After that you need to register an account on logmein. No no don't register yet, im putting the link below. 3.Open the Hamachi program and login to yr newly made account. 4.Click on the gray power button to turn on VPN. Do it if yr interface looks like this. 7.Join the network and yr done with Hamachi. Create a folder in the mods folder named Old. Then move ALL the items(files and folders) into the Old folder. 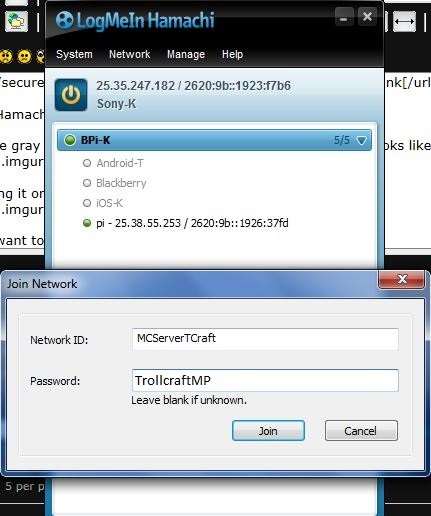 Unzip the Trollcraft mods in the 1.7.10 folder(in the mods folder). 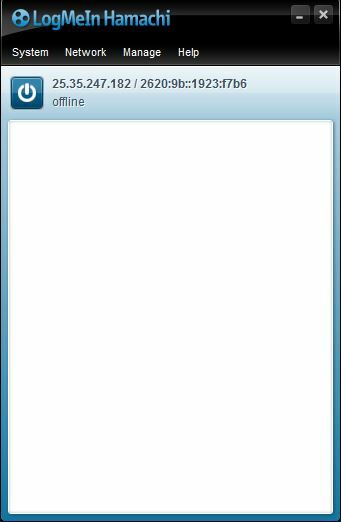 Goto multiplayer then press Add server button and fill in the info in the given image. Join the server and all done. 10.Shout "Trolled by none" in the shoutbox below so that I see that u done it. A:Check the settings again, you might be wrong. A:Either yr settings are wrong or you haven't connected to the network first. My pi is offline and the server isn't running. 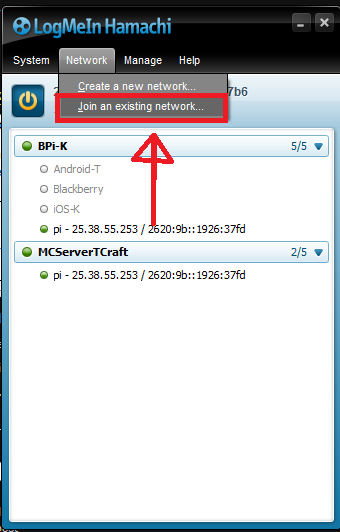 You can check that by looking at the dot beside the 'pi' user in the Hamachi network. White/grey=down. Blue=Recently turned off. Green=Online. Shout "Get2Work" in the shoutbox so I can try my best to turn it on. The server crashed! shout "FixIT" in the shoutbox so I know and turn it on. P.S:The server will always be offline on weekends. P.P.P.S:If the server shut down early, either my internet has gone OR I have to turn it off cuz of emergency OR I have to go out.